A naturally found substance, crude oil is also one of the most traded commodities. It is crude oil that is further refined so as to make petroleum products. Just like with every other commodity, crude oil too has its specific ticker symbol, contract value and margin. The margin is variable as it keeps changing as per the volatility in the market as well as according to the current value of the contract. If you are interested in crude oil trading or are already trading in this commodity, it is important for you to know that over the past 50 years the price of this commodity has been denominated in U.S. Dollars. 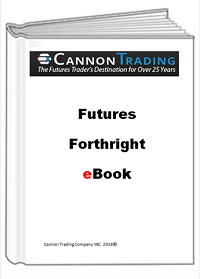 At Cannon Trading we help you trade crude oil at some of the best day trading margin rates. Our brokers will do their best to keep you aware of the market happenings to help you exercise call and put options carefully. In order to get more information on crude oil and commodities, read this category archive blog. Please feel free to share this information. Crude oil futures experienced one of the strongest sell offs to finish 2018. The market sold from the mid 70’s into the mid 40’s in a matter of 7 weeks. Crude Oil is part of the energy sector along with “it’s” brothers “RBOB – Unleaded gas” and heating oil and cousin, natural gas. All traded on the NYMEX/GLOBEX exchange. Crude Oil is one of my favorite markets for Day Trading because of the intraday volatility and movements. Be careful, these factors can work against you or in your favor. Keep in mind that the GLOBEX/NYMEX also offers the mini Crude oil contract which is half the size and may be a good alternative for smaller/ begginer traders. Do you have a view of the market? Is it going higher? Going lower? Range bound? Is there a trend? What is your personal preference? Risk capital? How much time do you have for following the markets? Are you experienced enough to take a go at it on your own or would you like to chat/ discuss, dissect the markets with a commodity broker, a series 3 licensed futures broker? If your goal is to scalp and day trade crude oil futures, then take a look at what I consider a timeless piece I wrote a few years back on how to utilize fear and greed to day-trade crude oil futures. Now back to the “million dollar question” – What is next for Crude Oil Futures in the next few weeks? Based on the fact that we had a major sell off that stopped on support levels, the fact that we are bouncing since then and the opinion I hold that crude oil longer term pressure is still down, my current view for this market is that we will see expanded range bound trading. I am looking for the market to trade between $48 and $59 ( hence the word expanded) over the next few weeks and perhaps more BEFORE it may attempt to take another stab at the down side. “Well, what good is that you may say to yourself…..” If I am right and you are willing to speculate with risk capital, then this information can be valuable. My preferred method would be to try and sell call options spread ( vertical call spreads) when the market rallies and sell vertical put spreads when the market sells off. Selling options is a risky strategy!! It is not for new commers and you can learn much more here. The main theory behind selling the calls and the puts is to take advantage of the time decay of options. As many of us know, geo political events affect the markets in general and crude oil futures in specific. No one can tell what news, wars, events will take place and that is obviously the unknown factor. I tell my clients many times on different occasions that entering a trade is only the first part of the equation, the main and even more important part is: how to manage the trade? Where do I exit if I am correct? Where should I exit if I am wrong? Should I use multiple contracts? How much am I willing to risk on the trade? Many ways to trade any market, many ways to lose money in any market and only very few ways to lock in gains – this one is not different. If you need help creating a trading plan, visit our broker assist services. The futures industry is complex and risky, which is why you need someone to be forthright with you…. By Ilan Levy-Mayer, VP Cannon Trading Co, Inc. When it comes to day trading futures contracts, crude oil futures are assumed one of the leading positions as far as trading volume. During the month of May 2018, crude oil futures averaged around 1 Million contracts traded per day! That actually surpasses contracts like the ten-year notes, mini SP, mini Nasdaq and others who have traditionally been leaders’ in terms of volume. Part of the growth in crude oil futures is attributed to day trader participation. Day traders, by definition, will enter and exit their positions during the same trading day. This adds volume to the market traded. Some of the tips I am sharing below can be applied to most futures contracts as well as other financial products that are traded like stocks, forex, bonds and others. Some of the advice I am sharing is very specific to the crude oil futures trading field. Contract Size: Crude Oil Futures consist of 1,000 barrels. For the trader this means that each full $1 move in crude futures = $1,000 against you or in your favor. For example: A move from 72.10 to 73.10 = $1,000 and a move from 72.10 to 72.11 = $10 (the minimum fluctuation size or the tick size). Be aware that the CME also offers the mini crude contract, which is half the size. Trading Hours: Crude oil futures trade on the Globex terminal between the hours of 5:00 PM CST the DAY BEFORE to 4:00 PM CST the following day. Which means 23 hours of straight trading. It is important to know that most of the volume will trade between the hours of 8:00 AM CST and 1:30 PM CST, as these hours correspond to the “pit session” of the old trading floor. Another key aspect to remember is that crude oil is a deliverable commodity and the “front month” will change every 30 days or so. For example: since May 22nd 2018 we have been trading July crude oil. Reports: There are more than a few reports that will affect crude oil future prices indirectly. These include monthly unemployment, the FOMC rate decision, and a few others. However, there are two major reports that move crude oil futures and its by-products (unleaded gasoline and heating oil) sharply: The API report, which comes out at 3:30 PM CST every Tuesday, and the DOE (Dept. of Energy) inventory numbers, which come out almost every Wednesday at 9:30AM CST. Take a look at this one-minute chart from Wednesday, May 16th right around the report time below to understand the volatility involved. As you can see above, the market made a move of $700 per ONE contract in a matter of minutes, perhaps even seconds! That type of risk and opportunity is one of the factors attracting day-traders into the crude oil market. 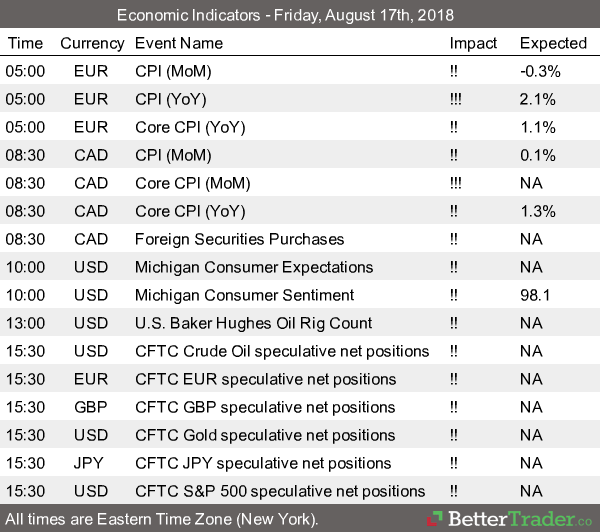 Geo Political Events: Middle East tensions, the Iran nuclear deal, tensions between Iraq and its neighbors…these are all examples of events that affect crude oil prices. Not to mention OPEC meetings! In my opinion crude oil (like many other markets) will have one of the following 3 modes: trending, two-sided volatility, or Choppy/quiet/range bound trading. My experience is that crude will more often fall into the first 2 categories: strong trend or two-sided volatility. This leads me to my next point below, different trading set-ups. My preferred methods for trading crude are either breakout concept in an attempt to catch a strong move up or down once the market broke some key support or resistance levels, AND/OR counter trend methods to take advantage of when the market is oversold or overbought. Crude does seem to bring more fear and greed out of traders. So looking at RSI levels, for example, and using moving averages ON the RSI to try and get a feel for market reversals are methods worth exploring. Like with any other trading, keep a journal. Take notes on how the market reacted to certain reports, how the markets traded during certain times of the day, and action you took and emotions you had that either helped or hurt you while trading. These notes will help you going forward. In summary, crude oil futures volume has increased significantly these past few years. The crude oil futures offer traders certain dynamics that other markets may not at certain times. Volatility, fear and greed are key traits for this market. Remember that trading crude oil futures specifically and futures and options in general carries a large degree of risk and is not suitable for all investors. Make sure you consult with a series 3 broker if you never traded this market before. As always, I wish you Good Trading! Important: Trading commodity futures and options involves a substantial risk of loss. The recommendations contained in this letter are of opinion only and do not guarantee any profits. There is not an actual account trading these recommendations. Past performances are not necessarily indicative of future results. Brent crude is a primary classification of crude oil used as a reference price for trading crude oil around the world. It is also known as London Brent and Brent Blend. It was first extracted in 1976 from a small area in the North Sea called the Brent field by Shell U.K. Limited (now Royal Dutch Shell), which made it a practice of naming oil fields after water birds. For this particular area, the name comes from a small water bird called the Brent goose. While the Brent field is now no longer economically viable, Brent crude is now comprised of oil extracted from fifteen later-developed oil fields located throughout the North Sea, an area of roughly 220,000 square miles. This area comprises by far the largest oil reserves in western Europe – land or sea. Crude Oil is one of MY favorite futures market for day trading. Before I dive in and share with you how the volatility in crude oil fits my risk tolerance for day trading and provide a couple of chart examples, we should review some of the specifications of Crude Oil Futures. Crude Oil Futures have monthly expiration. So each month we trade a different contract month, so one needs to know when is the first notice day and last trading day for crude oil futures in order to always make sure we are trading the proper month with the most liquidity and avoid any chance of getting into delivery situation.